LOS ANGELES : California seeks to advance mattress recycling in the State and set an example for the rest of the nation. There are two bills floating around. The first is the bill proposed by Senator Loni Hancock in March which proposes manufacturers to recycle 75% of used mattresses by 2020. The bill allows the manufacturers to charge retailers or consumers a fee to cover the costs associated with recycling. Hancock’s proposal has met with substantial criticism from the mattress industry. The mattress industry argued that such a move will ultimately result in the consumer being forced to pay significant prices. The widespread opposition to Hancock’s bill has given rise to the Correa bill which calls for the state to set a recycling fee, to be paid by consumers and to appear prominently on mattress sales receipts. According to statistics provided by Los Angeles Times, only less than 10% of old mattresses are presently recycled in the state. Californian residents buy around 4 million new mattresses and box springs each year, with half of the replaced volume said to be dumped in local landfills or on streets. The primary goals of the mattress recycling plan are to devise an economically feasible solution for recycling large numbers of used mattresses. The State also plans to reduce the impact of illegally dumped mattresses by proper shifting of the same to recycling facilities. The State wishes to create legislative action to ensure that consumers are not over burdened with any form of tax measures. Those backing the legislation say that it would be the first law of its kind to be enacted in the country and would set a model for other states to follow. 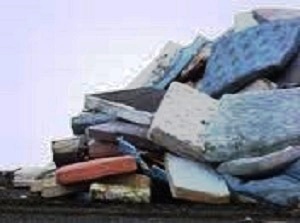 Dumping used mattresses along street creates environmental and health hazards as they become home for various insects, rats and other creatures. Surveys indicate that the city of Oakland spends $200,000 a year to pick up old mattresses that have been dumped illegally on city streets Landfill operators state that discarded mattresses are difficult to handle because each piece takes up 23 cubic feet, doesn’t decompose, and “floats to the top” of dumps because of its flexible construction. Implementing a mandatory law for mattress recycling will help eliminate health hazards and also lead to creation of job opportunities.